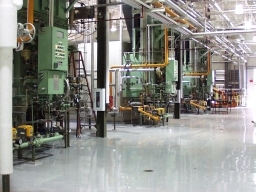 Fenton Systems supplies combustion controls for steam boilers, hot water generators, steam generators, and furnaces. Combustion control is the process of controlling burner fuel and air ratios to provide the proper amount of excess oxygen to insure complete fuel combustion. Systems are supplied utilizing PLC’s, Loop Controllers, or Distributed Control Systems (DCS). Full startup services are supplied to checkout system, calibrate equipment, and load test boilers to determine combustion parameters. Fenton Systems supplies powerhouse Balance of Plant (BOP) controls. 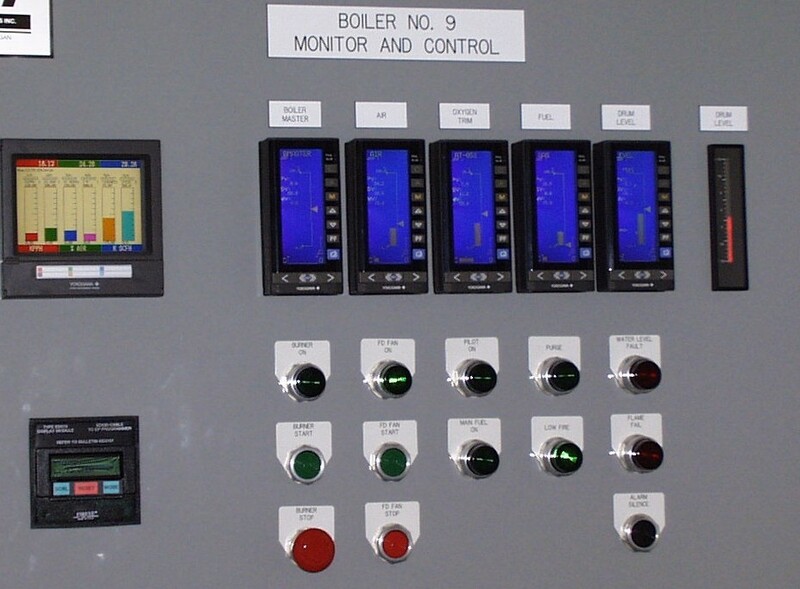 The powerhouse “balance of plant” control includes control of the boiler feed water including DA tanks, feed water pressure, feed water pumps, condensate return, and water softeners, fuel oil pumps and tanks, and building ventilation. Fenton Systems supplies controls for bulk material handling applications. 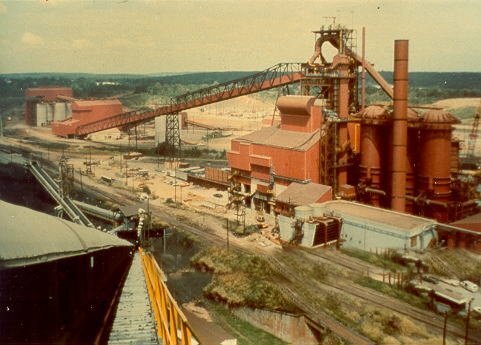 Bulk material handling applications normally involve the conveying and weighing of multiple materials to feed a process. A recipe that includes material types, weight, and feed parameters is used to direct the process. 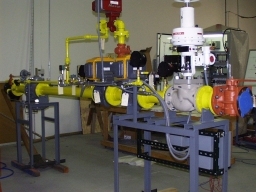 Fenton Systems supplies controls for process control applications. Process control applications involve the continuous control of a process variable (s). These applications normally involve close loop control (PID) of a process variable (s). Process applications differ from the bulk and discrete material handling applications in that analog signals represent the majority of signals as appose to discrete on-off signals. 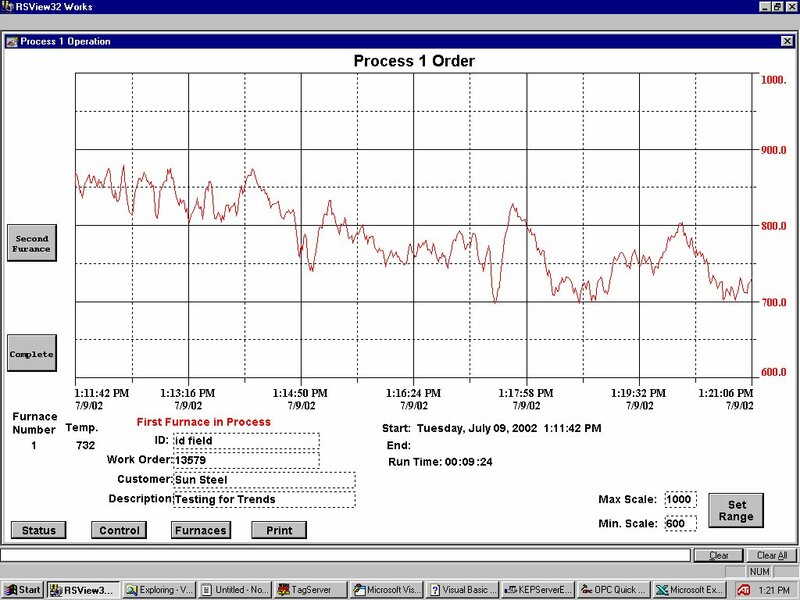 Data Acquisition applications involve the collection of data from a process or facility for purposes of displaying the status information to operating personnel, for quality control purposes, or for analysis purposes. A data acquisition system is often integrated with a control system. Fenton systems supplies controls for batch process control systems. These systems control the mixing or blending of multiple materials based on recipes. The recipes contain material types, quantities and mixing parameters for the application.